Some arguments you just can't win. And some people you just can't argue with. 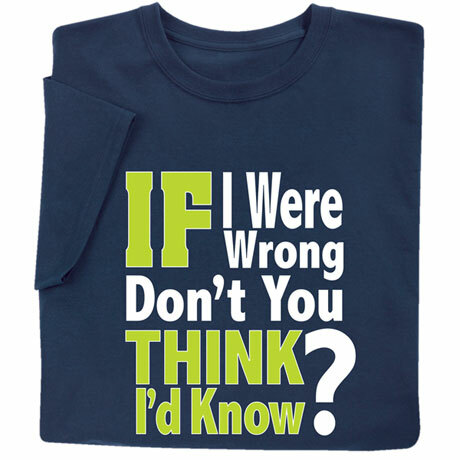 A gift for your favorite know-it-all, navy T-shirt is preshrunk 100% cotton. Sizes S-3XL. Imported.